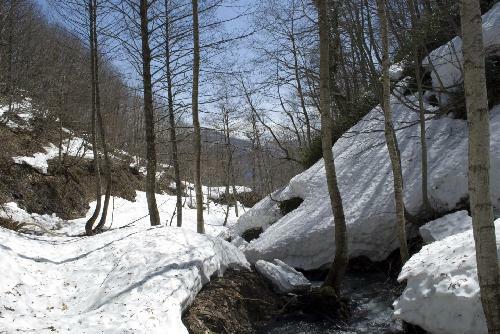 Science Codex 12 November 2015: Gradual melting of winter snow helps feed water to farms, cities and ecosystems across much of the world, but this resource may soon be critically imperiled. In a new study, scientists have identified snow-dependent drainage basins across the northern hemisphere currently serving 2 billion people that run the risk of declining supplies in the coming century. The basins take in large parts of the American West, southern Europe, the Mideast and central Asia. They range from productive U.S. farm land to war-torn regions already in the grip of long-term water shortages. Snow is an important seasonal water source mainly around large mountain chains. From higher elevations, snowmelt runs gradually into the lowlands during spring and summer growing seasons, when human demand peaks. But global warming is upsetting this convenient balance. Studies show that in many areas, more winter precipitation is falling as rain, not snow, and washing away...read on.